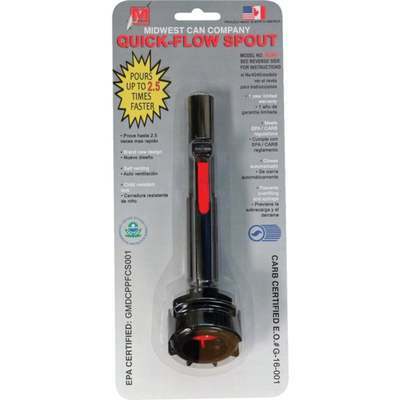 Replacement spill-proof spout and cap fits all Midwest Can gasoline, kerosene and diesel containers. Closes automatically to prevent overfilling and spillage. Child resistant features. Self-venting. Meets EPA (Environmental Protection Agency) and CARB (California Air Resources Board) regulations.